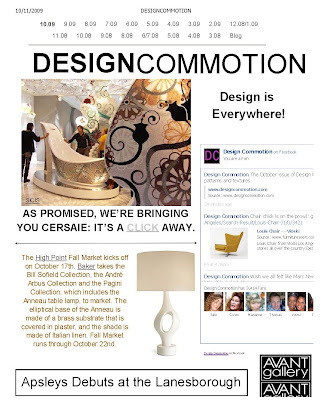 Yes, the October issue of Design Commotion went live yesterday. Design Commotion is a monthly magazine that's devoted to world design. DC is chock full of images and articles and the October issue has the added bonus of a collaboration I did with Saxon Henry, Design Commotion's editor. Check it out, it's like an Apartment Therapy for adults. The second story in DC demands special note. Take a look at this room. 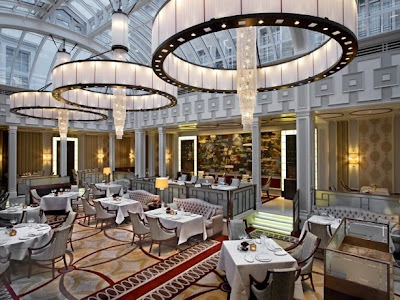 This is the new Apsleys restaurant in London's Lanesborough Hotel. I don't think I've ever seen a more beautiful restaurant dining room in my life. Wow.